Detective Stephen Greco and his team must piece together her life as quickly as possible. Within twenty-four hours there is another killing using the same method. The detectives realise that the victims are random but the locations are not. 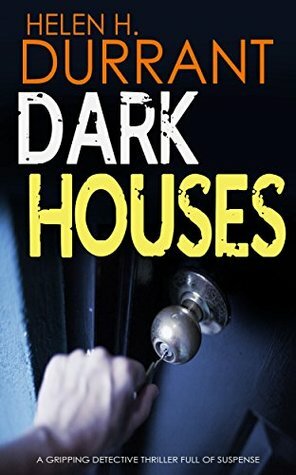 The killer is more concerned with finding the right house – somewhere he won’t be disturbed. When a man walks into the station and confesses, it looks like the case is closed. But Greco’s not convinced and soon he’ll be fighting to save the woman who’s most important to him in a stunningly tense conclusion. Wow. That is my first reaction at having finished this novel. It was a gripping thrill ride that kept you guessing right up until the thoroughly surprising ending. Unlike the first novel in this series (that I admit I had my doubts about at first), it seems as though everything came together with this one - the characters worked well together, the story is fast paced, and the plot-line is believable. One of the things that I enjoyed most about this book is that the killer seemed so obvious - right up until they weren't. There were so many surprises in this novel that it kept me up at night wondering just how things were going to play out. I also loved the new relationships (for lack of a better word) between Greco and his co-workers. He didn't come off as standoffish in this novel as he did in the first, and that only added to my enjoyment. Because of the way he found himself opening up to them - I am very curious as to how those relationships are going to come into play with the next book. Even though this is book number two in a new series, both stories are stand alone novels - meaning that the crime is solved before the end of the story, but at the same time the ending leaves room for the next story. Overall, I would definitely recommend this novel to anyone who enjoys a well written thriller.